Luckily the remote landscape has improved and multiple resources now exist. I’ve collected some tips and resources to share for those who are on the hunt for their own perfect remote position. I’ve included some general job hunting tips that apply to any job seeker, as well as links to solid job sites known for posting reputable job openings. As always, remember to do your research on any job, and use the interview not just to show off how amazing you are, but to check that the company is a great fit for you. - A work-only email address. Gmail is a good free option. When applying for jobs, you’ll want a nice, professional-looking email address. - An up-to-date LinkedIn profile. - An account on Twitter. Follow and retweet people in your industry, add your own thoughts in replies, and create tweets that show your personality. - A simple website, portfolio, or blog. There are many great free options. Write about the things you are learning in your industry, and record projects you do inspired by your learning. An online portfolio is especially helpful if you are in design, writing, or development. If you are looking for a new career path, or even if you’re looking to grow in your own field, the more you learn, the better prepared you’ll be for the interview and new role. 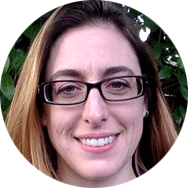 Find 2-3 tools specific to your industry and get familiar with them. This could be social media management apps like Buffer, data visualization tools such as Looker, or sales management software like Salesforce. Spreadsheet and word processing tools are also a must. If you’re not sure what tools would be helpful, keep an eye on what those Twitter thought leaders are discussing. Sign up for Udemy and wait for the coupon for $10 courses to arrive in your inbox. Their courses don’t expire from what I can tell, and can be quite expensive at full price. $10 deals are fantastic! Coursera has a huge variety of classes, including many from top universities. Certificates are available upon course completion. Your local university or community college likely offers affordable classes in writing, computers, data, and more. The enrollment office will be happy to send you registration materials. Network! There's no better way to learn than by talking to other people in your industry. Find a group on Slack, Twitter, LinkedIn, or locally, and participate in their events and discussions. Get out and talk to people. Attend a conference. You can do it, I believe in you! If you volunteer in your community, be sure to include organizations and projects you’ve worked on. What is something you are proud of from a previous position? Where do you want to be, career-wise, in 1, 5, 10 years? Think about a time you made a mistake. What did you do to recover/what did you learn? List 3-4 companies you respect and think about why you respect them. What could they do to improve? Describe a conflict you have had How did you handle it? Do you have a family leave policy? How do you support professional development? Do your employees have an opportunity to work on special projects? What are you company values and mission statement? How do you measure growth and performance? Create a bookmark for https://github.com/remoteintech/remote-jobs to check any job posting you find against the list of remote-friendly companies. Remember to follow them on Twitter and LinkedIn, as well as any other social media platform they seem to prefer! With each application, customize your resume and write a standout cover letter based on the notes from above. On your resume, don’t be afraid to let your personality shine! After all, hiring managers will be reviewing likely hundreds of applications. What stands out about you? Highlight it. 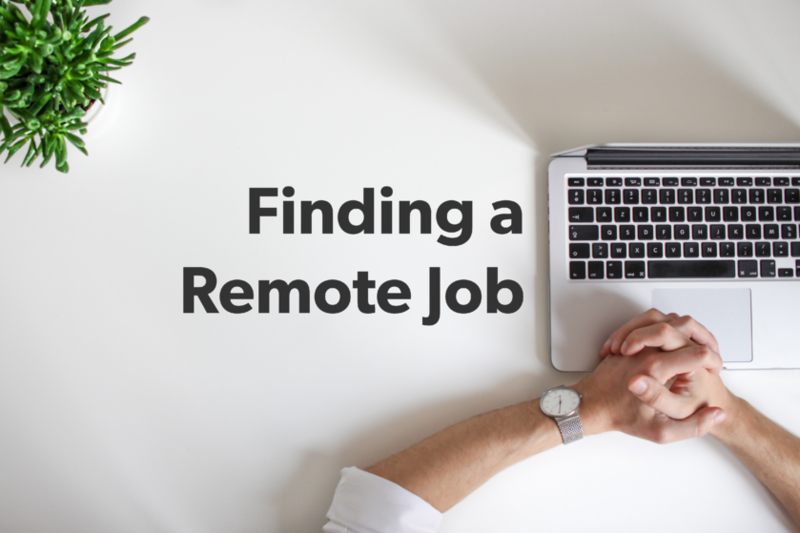 Finding the right remote job can take a little time. Remember to breathe and take care of yourself. Job hunting is tough. Give yourself a break once in awhile to go for a walk, read a book for fun, spend time with people you love, and breathe again. Do you already work remotely? We’d love to hear your tips for finding the perfect job! Please share with us on Twitter @olark, or with our Facebook community.